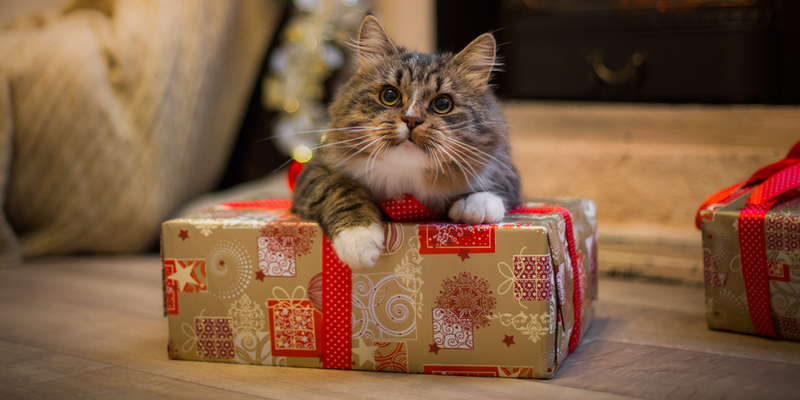 Does your cat top the list of things to be thankful for this holiday season? 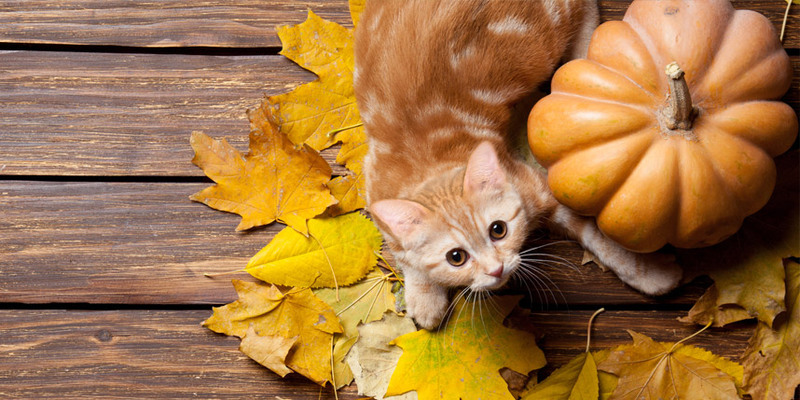 Try these fun ways to say happy Thanksgiving to your cat, and add a little feline flair to the celebration! Why should humans get all the good food? 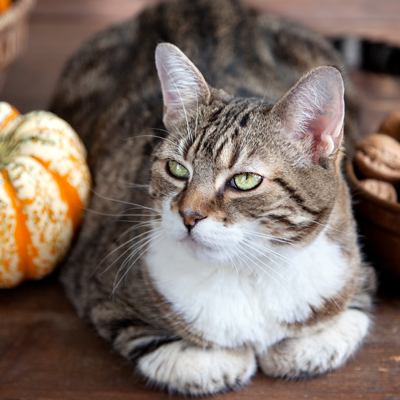 Cats can share Thanksgiving dinner too—as long as you keep it safe! 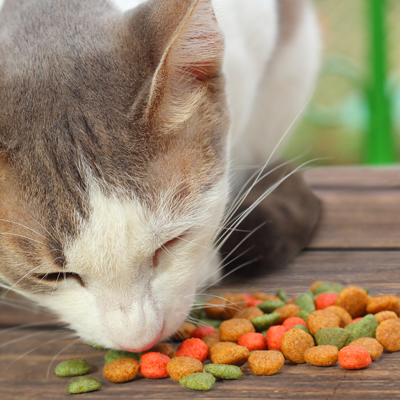 Traditional Thanksgiving meals could make your cat sick, so check out these human foods that aren’t safe for cats, then get creative with adding something special to your cat’s holiday diet. Not the chef type? Use a simple Thanksgiving-themed mold or cookie cutter to turn your cat’s favorite wet food into a festive treat. 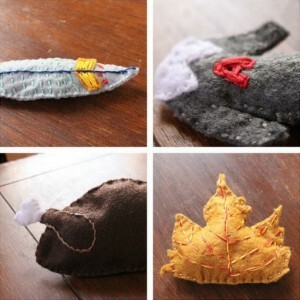 Crafty cat lovers can turn playtime into a seasonal celebration with Thanksgiving-themed cat toys like these. Get creative with your own ideas. We think the classic turkey made with craft-store feathers is a great place to start! Even outgoing cats can get stressed out by a lot of new people coming and going in their “territory” during Thanksgiving and other holiday parties. 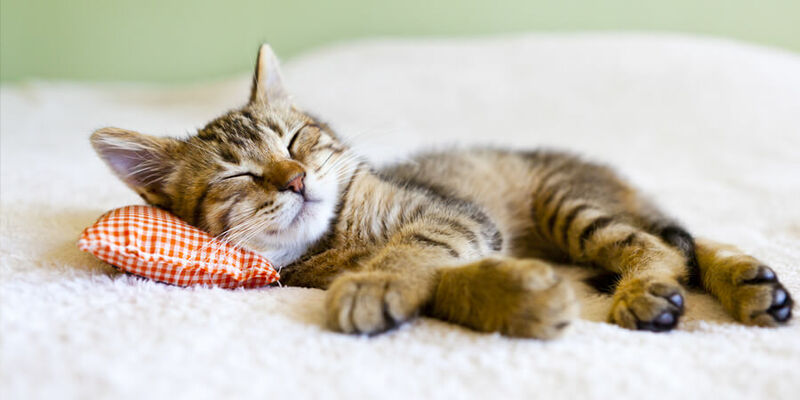 Consider your cat’s feelings by providing a safe place during get-togethers—anything from a room with a closed door and a “KEEP OUT” sign to a comfy perch in a high spot where your cat can watch the action without being interfered with. Make sure your cat doesn’t have to navigate crowds to get to the litter box or fresh food and water. And have a plan to keep your cat from bolting outside when guests enter or exit. Thanksgiving can be a busy time for many households. It only takes a few minutes to show some extra love, so your cat doesn’t feel neglected. Keep the litter box nice and clean—a high-performance litter with concentrated power, like World’s Best Cat Litter™, will make it easy when you’re short on time. And don’t skip playtime, grooming, and lots of cuddles. Cats bring joy to our lives year-round. Now is the time to show your gratitude. 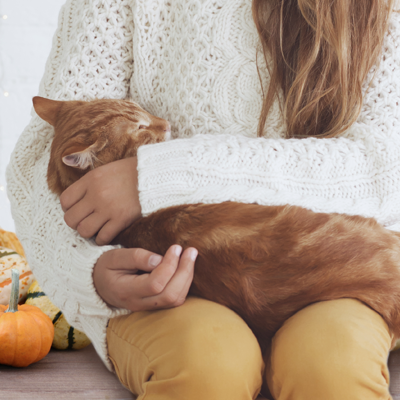 You’ll be rewarded by a happy, healthy cat—and that’s something to be thankful for!